448fps and a perfect bullseye is typical for the first shot from a full Dragon Claw. 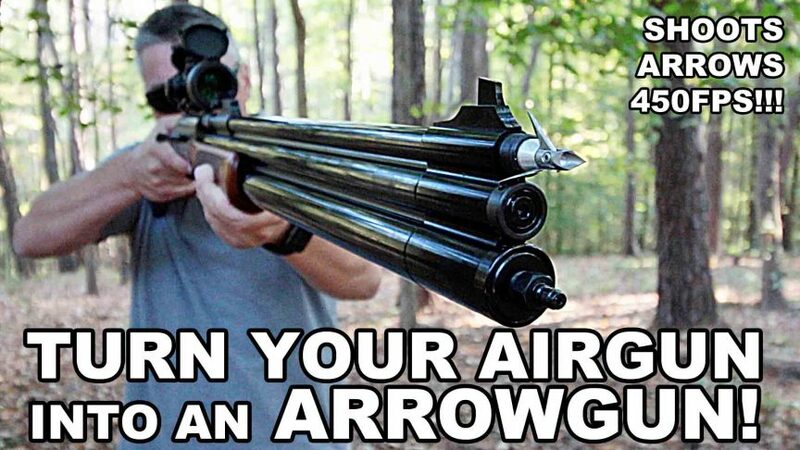 There is something about arrow guns that always gives me goosebumps, and I know I’m not alone. That’s why Air Venturi decided to produce the Air Bolt after partnering with its inventor. 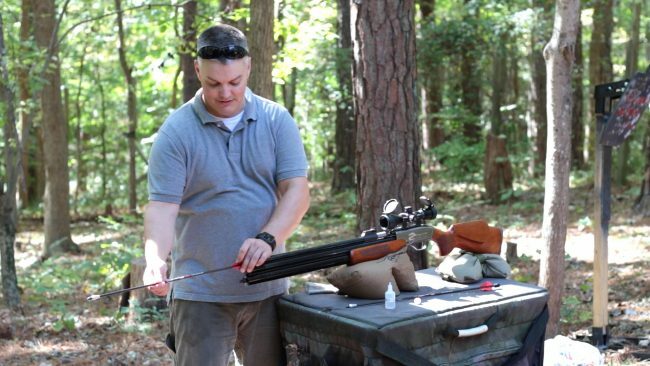 The Air Bolt is designed to turn any 50 caliber airgun with at least a 28″ barrel into an arrow gun with no other changes or accessories needed. The barrel can be rifled or smoothbore, though in Air Venturi’s testing, they found that rifling does seem to help with accuracy. The Air Bolt consists of a standard carbon fiber arrow shaft and vanes capped with a large aluminum bushing on the front surrounding a standard threaded insert and a polymer gas check on the rear instead of a nock. The gas check has an o-ring to ensure a tight seal even with the lands and grooves of a rifled barrel, and the bushing ensures perfect alignment with the bore once the Air Bolt is fully loaded. Loading is a bit time consuming compared to dedicated arrow guns. Since the Air Bolt rides down a steel barrel at up to 500fps, silicon oil will be your friend. You’ll want to wipe the bushing and shaft of the Air Bolt to make arrow removal from your target easier. You’ll also want to generously coat the vanes to reduce the wear that inevitably happens each time an Air Bolt is shot. 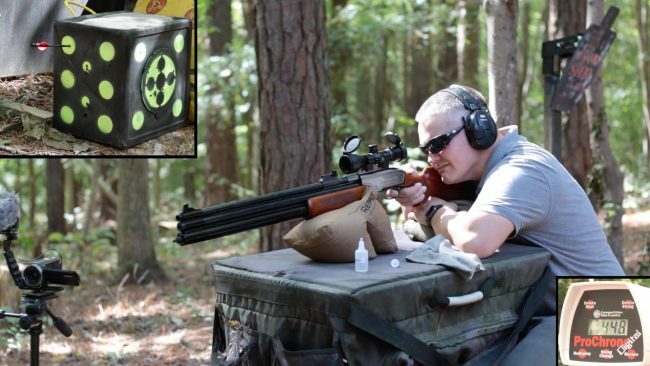 I only had the opportunity to test the Air Bolt from the Dragon Claw that Airgun Depot sent with the arrows, and I was blown away by the accuracy. The first two shots after every fill very consistently dropped in the same hole, and I was simply not expecting that given that this is such an unusual combination of products not originally designed to work together. The Ramcat had no problems punching through this cow leg bone at its fattest point. 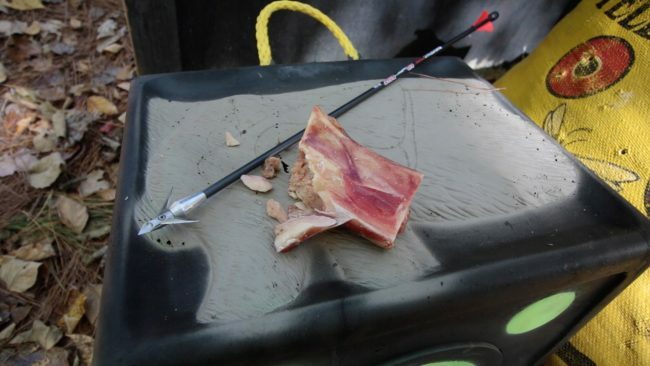 Flight with 125gr Ramcat broadheads was also spectacular, allowing me to pinpoint the fattest part on a cow leg bone to show the devastating effect of so much KE and such a strong broadhead. Even before that test, I used the same Ramcat with different blades to punch all the way through a Dodge Durango- in one door and out the other. The Air Venturi Air Bolt is one of those products easily assumed to be a gimmick that turns out to be a true revolutionary product. Look for other calibers available soon. For more information about the Air Venturi Airbolt, visit airgundepot.com. Also, be sure to watch me punch all the way through a Dodge Durango below.